After his deadliest battle to date, Batman is bruised, battered and scarred. And forever changed. 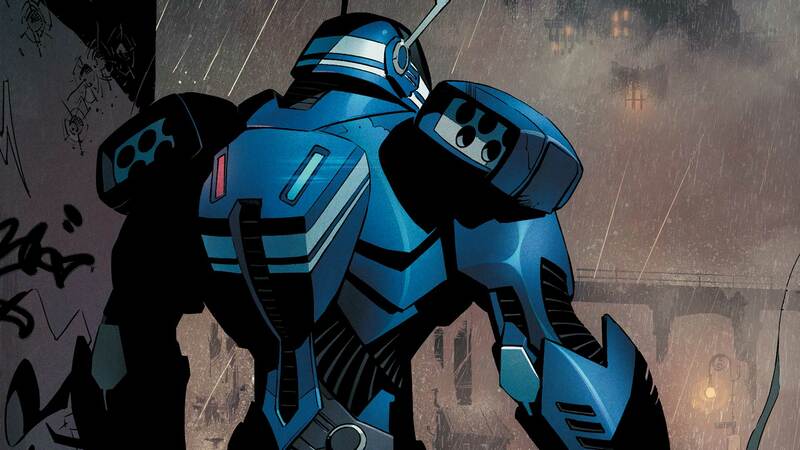 Now, a figure in an 8-foot mechanized suit of armor roams the streets of Gotham City. More powerful than ever before, Batman’s pursuit of justice has never been more swift or efficient. But who is the new Dark Knight? And why is he...or she here? Plus, learn the secret origin of the strange new villain known as Mr. Bloom! Collects BATMAN #41-45 and a story from DC COMICS DIVERGENCE #1.